Mutant Football League has been out on the PlayStation 4 since 2017, but the physical, retail release is just now on its way. The hard copy of this deadly arcade style football game was originally set to release on September 18, 2018, but the Dynasty Edition has been delayed to October 30, 2018. The game will cost $29.99 and will include Dynasty mode. According to the official press release, here’s what you can expect. 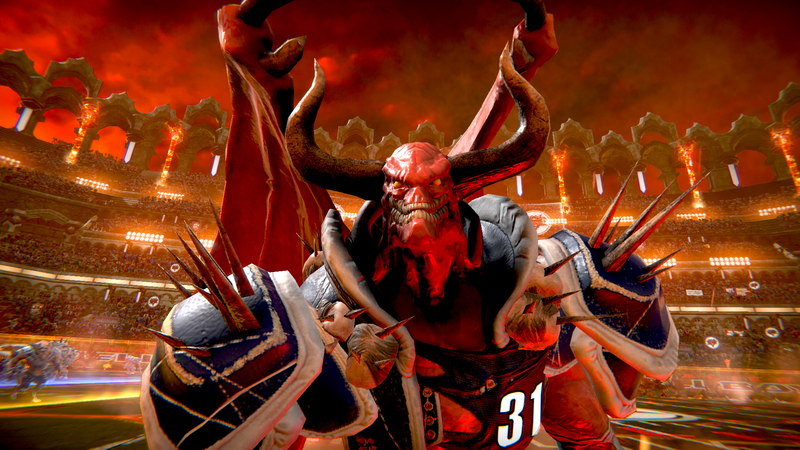 This is a single player experience where you become the coach and GM of your favorite Mutant Football League team and take a group of unproven rookies and turn them into monstrous all-stars by winning multiple Mayhem Bowls over several seasons to become the league’s next Dynasty. It includes multiple season gameplay, player trades, cumulative player experience (XP), salary management, custom playbooks and free agent signings. If you already own the game, you’ll still get to enjoy this extra via a free update when the Dynasty Edition releases right before Halloween. · Post-Play Mayhem – Players can keep the action going even after the whistle blows by bludgeoning opponents with brass knuckles, body slams, and rib-crushing kicks.